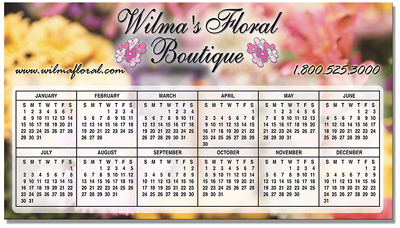 Stock Backgrounds: Calendar and Schedule Magnets do not include the stock backgrounds shown as a standard feature. To add a FREE stock background, please be sure to specify the background name on your order. To view more FREE stock background choices, visit www.bicgraphic.com and click on Magnets.